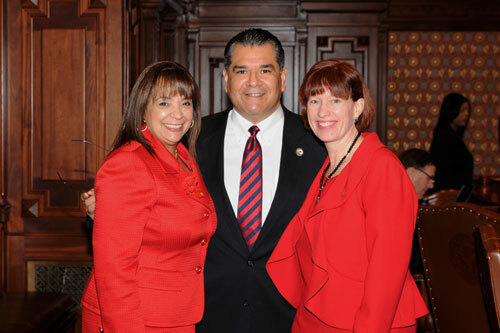 Senator Sandoval was proud to show his support for Go Red for Women Day at the State Capitol. The campaign by the American Heart Association is supported by the Conference of Women Legislators. Senator Iris Y. Martinez and Senator Heather Steans join Senator Sandoval here in the Capitol. 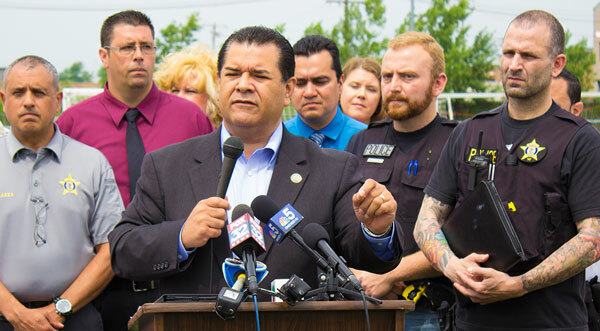 Senator Martin Sandoval (D-11) initiated CeaseFire week at a press conference in Cicero. Sandoval applauded the efforts of Cicero detectives for capturing the man who fatally shoot a Cicero restaurant owner last week.